Virginia Ruth (Stiles) Shepardson, 70, of Parsons Street, passed away Monday, Jan. 25, 2016, at her home. She was born in Northampton, and is the daughter of Gladys (Aquadro) Stiles of Easthampton and the late Howard D. Stiles. Virginia graduated from the former Northampton School for Girls and received a bachelors degree from American International College in Springfield. She earned her master’s in education from Westfield State College plus 60 additional graduate credits. Virginia was a longtime educator in the Westfield Public Schools, retiring in 2009 after 18 years at Juniper Park School. She was a devoted teacher who was known for her great sense of humor and an ability to connect with students. She was passionate about teaching and inspired a love of learning beyond the classroom, to her six grandchildren, who she adored. Besides her mother, she leaves two daughters, Jennifer Brenes and her husband Brent of Easthampton, and Kathryn Carpenter and her husband John of Florence. She also leaves a sister Elizabeth and brother-in-law Wolfgang Neumann of Switzerland; her grandchildren Megan and Ryan Morissette, Amberlie and Kyle Brenes, and Jack and Grace Carpenter; nieces Juliana, Alexandra, Nathalie Neumann and Sarah Stiles; and nephew Ben Stiles. Besides her father, she is predeceased by her brother Mark Stiles. Rebecca Dean Sowers Peapples, age 72, died Thursday, April 18, 2013 at Arbor Hospice from Pancreatic Cancer. Becky was a wonderfully creative, gentle, and intellectual woman with many varied interests including a great love of literature which she inherited from her mother, and a passion for cooking instilled by her father. Becky was born in Benton Harbor, a town on the southern shores of Lake Michigan, in 1940 to Lucinda Murray Clark and Bouton Franklin Sowers. She attended the Northampton School for Girls in Northampton, MA for high school. Her post-secondary education was at McGill University in Montreal, Canada, and the University of Michigan, Ann Arbor, from which she graduated with a Bachelor of Arts in Romance Languages. She then earned a Master of Arts in Italian from the U of M.
George Thomson Moore “Tom”, 85, died Friday, October 2, 2015 at Tryon Estates in Columbus, NC. He was born in East Orange, NJ, on May 14, 1930, the son of George Thomson Moore and Esther Haynes Lane Moore. 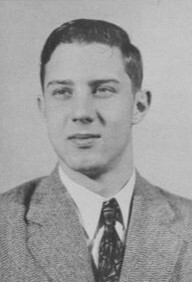 He attended Williston Academy for two years before he graduated from Tryon High School in 1949 and from North Carolina State University in 1953. He served as a First Lieutenant in the U. S. Army in Korea. He is survived by his daughter Caroline (Austin) Chapman, his grandson Thomson Flynn Moore Chapman, and his sister Priscilla Tapley. He is also survived by his step children Pamela McDougald, Scott (Brenda) McDougald, Dorothy (Rick) Maynard, Janet Howell, Marguerite Kerhulas; numerous step grandchildren and step great grandchildren; and several nieces and nephews. He was predeceased by his wife Mary Flynn Moore, his son Brian Thomson Moore and his second wife Sylvia Smith Dodge. Phoebe Ferris McCoy died peacefully on November 4th in Greenbrae, California. She was 96. Phoebe’s keen intelligence, enthusiasm and joy were the foundation of her life. Whether she was Mother Nature at her grandson’s school, or hosting the Dalai Lama at the Sacred Art of Tibet Exhibit at the Asian Art Museum, or running her own winery, she brought a gracious zest to whatever she undertook. Notable for limericks, poetry and obscure songs from the 1930s she maintained her sense of humor and many friendships until the end. Gordon Russell Prochnow, Sr. age 85, of Freehold Township passed peacefully in his sleep at home on January 4, 2016. Born in Boston, MA and raised in East Hampton, MA he attended Williston Academy and became a volunteer firefighter at age 14. After moving to New Jersey in 1967, he was active in the local community serving the Freehold Township Independent Fire Company No. 1 for almost 50 years as a member, serving as Chief in 1980, Fire Commissioner District No. 1 and Fire Bureau member. He was an instructor at the Monmouth County Fire Academy assisting many volunteers start their careers with proper training and always a good story to tell. 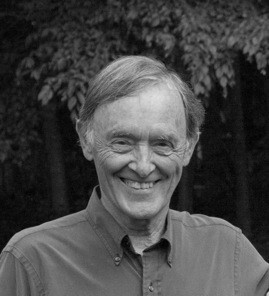 It is with acute sadness that I tell you my beloved husband Dr. Bruce Scott Brown (class of 1952) died in my arms on October 18, 2015. He’d had a cancerous kidney removed exactly one year earlier, and I thought we were home free, though probably he knew otherwise. That accursed disease lurks. Four months later other smaller cancers showed up on X-ray, and Bruce began chemotherapy. But in the end, it was pulmonary fibrosis that took his life. To have the one person you love most in the world die in your arms in his hospital bed is sad beyond the telling. Bruce and I were married when we were but twenty-one years old. Our wedding pictures show two young people, madly in love, clutching each other’s hand as we, beaming, emerged from the Church. We were eighteen when we met. It was love at first sight. We loved each other so much for so long. Well, he was a wonderful guy. Sara “Sally” Allen Lewis, age 84, a longtime New Canaan resident and former resident of Mount Kisco, N.Y. died peacefully Dec. 18, 2015 in Stamford. Sally was born in Greenfield, Mass. on April 23, 1931. After attending The Bement School and The Northampton School for Girls, she earned a BA in Bacteriology from Goucher College in 1952. Sally’s lifelong passions included horseback riding, theater and extensive global travel. She worked in a variety of positions at Memorial Sloan Kettering Hospital, the American Cancer Society, and the corporate offices of Dress Barn. Most recently, she was a volunteer at Norwalk Hospital and at Treasure House in Norwalk. Sally is survived by her children Alexandra (John) DeMarino of New Canaan, and Scott Ballantyne Lewis of Brooklyn, N.Y., granddaughters Kathleen and Elizabeth DeMarino, nephew Stewart (Kathy) Allen, niece Marie Louise (Rick) Martin and three great nephews, all of North Platte, Neb. She was predeceased by her brother, David Field Allen, and her parents Lewis W. and Louise Field Allen. Patricia J. Schneider, 64, died Saturday, December 27, 2014 at Dartmouth Hitchcock Medical Center in Lebanon, NH after a brief battle with lung cancer. She was born June 24, 1950 in Reading, PA the daughter of Frank W. and Lavona (DeWald) Schneider. 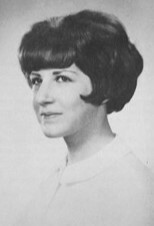 She attended Northampton School for Girls and graduated from Cortland High School in Cortland, NY class of 1968. She attended Bay Path College and graduated from Windham College in Putney, VT class of 1974. She worked for a time at the Ski Area’s of New York and has spent the past fifteen years at Fine Paints of Europe in Woodstock, VT. Patsy was instrumental in the development of the Watson Upper Valley Dog Park in Hartford,VT and has continued to steer its direction as an active member of the Upper Valley Dog Park Supporters and presiding as its president. She also enjoyed skiing in the winter and kayaking in the summer. But what she loved the most was the time spent out with her dog. Patsy is survived by her brother Lawrence Schneider of Killington, VT, a sister Sandy Kutkiewicz of Roxbury, NY; several nieces and nephews; and Nathan, a large black Newfoundland.